Altitude Games has reached another milestone: our latest game Kung Fu Clicker has exceeded one million downloads! 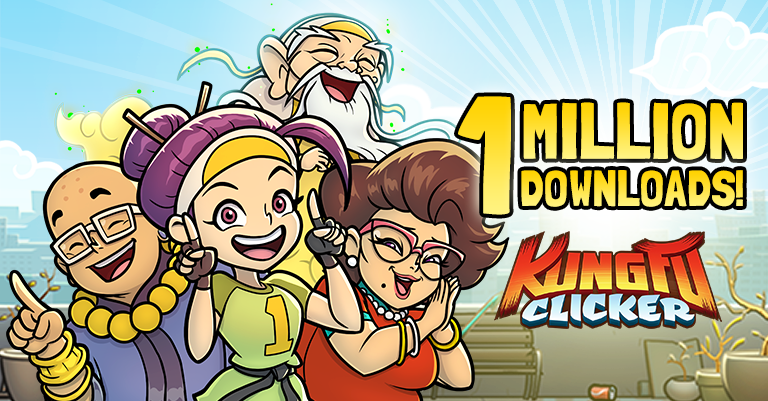 Together with our publisher PikPok, we’d like to give a million thanks to all of you who downloaded Kung Fu Clicker. We hope you’re having as much fun playing the game as we did making it. If you haven’t played it yet, you can download it for free on the iOS App Store and Google Play. Posted in Blog, Game Updates, Kung Fu Clicker.